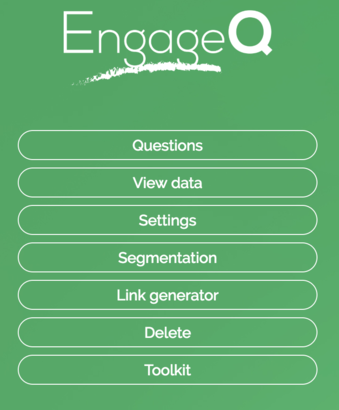 EngageQ participants can access an engagement survey on mobile device or laptop and receive instant feedback regarding their personal engagement level. Results are aggregated at team, region, country or any level pre-defined by the administrator. 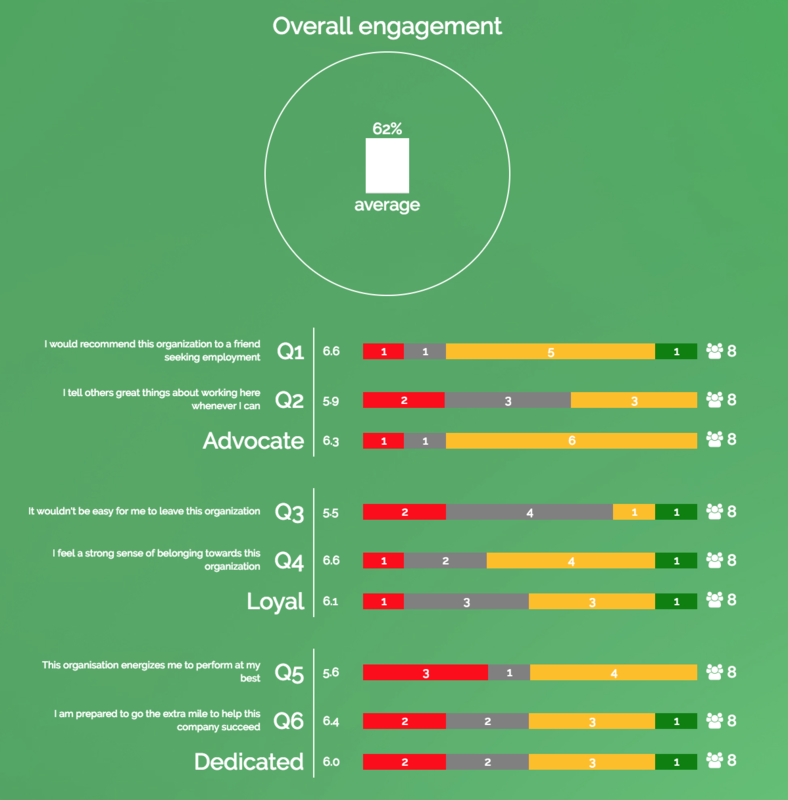 The engagement survey can be run as short ‘pulse’ surveys or extensive multi-criteria surveys or a combination of the two. A set of default questions are included in the ‘Toolkit’ which you may choose to use or replace according to your needs.